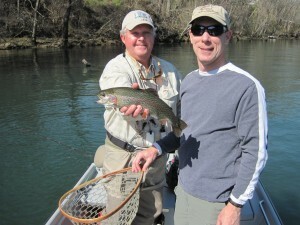 Our St. Louis crew was back again this year and the hit the Caddis hatch at just the right time. They stayed hooked up to fat rainbows all day long. 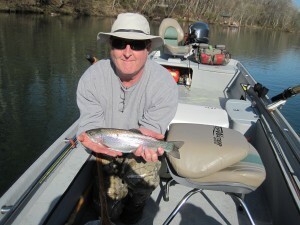 The fish were not really taking dry flys but keyed on the emergers, so soft hackles were the ticket. 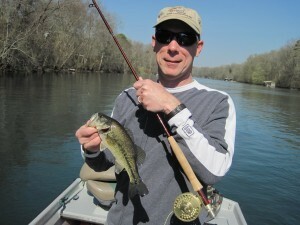 As you can see in the bottom right, even a little Black Bass that Tom caught got in on the action. 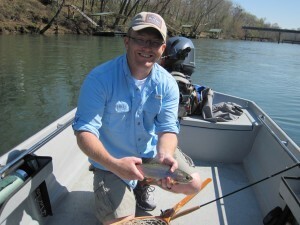 Late in the afternoon the hatch wained and we stuck some nice Rainbows on streamers like the Chuck’s Chunk as well as brown and ginger Woolly Buggers. This is a great group of fly anglers and we certainly hope they will come back to the Little Red River next year for the Caddis hatch. It is my favorite time of the year! Wonder why?